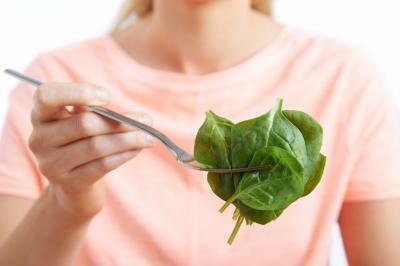 There is a new way to detect bombs - spinach. That's right, MIT has figured out a way to use spinach plants to detect (using carbon nanotubes) and then wirelessly relay warning signals to smartphones when the plants absorb chemical compounds often used in explosives. This explosive discovery leads us to think about other healthy ways customers may think of banks, and whether they want high tech or are sniffing out something a little more down-to-earth. As community banks update and expand services, they are frequently confronted with a similar dilemma. Given the limited resources available for expansion, bankers often wonder whether they should focus first on improving digital offerings or concentrate more on improving personal service. In today's increasingly digital world, the right answer would seem to be: digital first. That may be the correct course for many, but sometimes the right answer for one community bank may not work as well for another. A recent Gallup poll illustrates some of the nuances. Gallup asked 6,000 bank customers this question: if they had to give up one channel of service - digital or personal - which one would they choose? The answer was split almost down the middle: 47% said they would give up digital, while 53% said they would give up personal. Although there is a slight tilt toward digital here, the split is pretty close, showing that customers are almost as keen on personal service as they are on digital. Interestingly though, when the pollsters dug deeper they found a divergence when it came to customer engagement with a bank. A customer with a high level of demand for digital services, who happened to be using a bank that emphasized personal interaction, was less likely to be fully engaged with the bank. Similarly, a customer who preferred personal service, but did business with a bank pushing digital, was also less likely to be fully engaged. What does this all mean for community banks? Well, the good news is that most customers feel their bank has about the right mix of digital and personal. In the poll, 62% said their banks had about as much digital or personal services as they would like. This shows that having a digital presence is important, but it may be just as important to have personal services available. While community banks are feeling pressured to expand digital offerings, remember to ask how much digital customers actually want. The Gallup poll also includes this telling statistic: only 11% said they wanted an exclusively digital relationship with their bank. Of course, the 62% that are satisfied with the mix of digital and personal services also means 38% are not satisfied. Further, within that 38% of mismatched customers, only 18% were fully engaged with their banks. By comparison, in the group where digital/personal service level matched demands, an impressive 67% were fully engaged. Gallup noted that at banks where the digital/personal mix failed to match up with customer interests, bank performance suffered. The key is to communicate with customers because engagement is the ultimate goal. Further, while you may feel pressure to build the best digital system around, if your customers aren't ready for it or don't want it, the digital rollout might not be as well received as one would hope or think. No matter how you farm customer opportunity on the digital or personal front, just knowing the power of spinach can make the approach even stronger. 1) Bank of Lancaster ($463mm, VA) and Virginia Commonwealth Bank ($324mm, VA) will combine in a merger of equals (MOE) transaction. Lancaster will own 51% and Commonwealth will own 49%. 2) Seacoast National Bank ($4.5B, FL) will acquire Gulfshore Bank ($331mm, FL) for about $54.8mm. 3) Nicolet National Bank ($2.3B, WI) will acquire The First National Bank - Fox Valley ($475mm, WI) for $76.6mm in cash and stock or about 1.65x tangible book. Research by Bank Director finds mergers of equals have made up 2.4% of total bank M&A activity since 1990, but from Jan to Aug of this year that jumped to 4.4%. The BLS reports 5 of the 10 fastest growing jobs pay less than $25k per year. The final FOMC meeting for 2016 is Dec 14, when rates are expected to be increased 25bp. MasterCard estimates counterfeit fraud at EMV enabled merchants declined 27% in the first part of this year compared to the same period last year. Research by IBM finds 95% of cyber breaches occur as a result of human error. Research by Adobe projects mobile will account for 53% of digital traffic this holiday season, as online sales rise 11%. Of note, Adobe indicates the average order value is $120 through a smartphone vs. $155 when using a computer. Research by the World Economic Forum on jobs finds that in the financial services industry, respondents see the following barriers to workforce change/adaptation in the future: insufficient understanding of disruptive changes (67%); workforce strategy not aligned to innovation (53%); pressure from shareholders & short-term profitability (47%); resource constraints (43%); and insufficient priority by top management (27%).